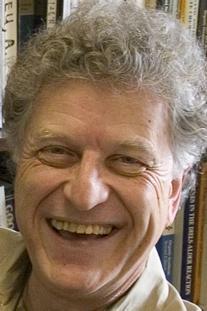 K. Peter C. Vollhardt was born in Madrid, raised in Buenos Aires and Munich, studied at the University of Munich, got his Ph.D. with Professor Peter Garratt at the University College, London, and was a postdoctoral fellow with Professor Bob Bergman (then) at the California Institute of Technology. He moved to Berkeley in 1974 when he began his efforts toward the development of organocobalt reagents in organic synthesis, the preparation of theoretically interesting hydrocarbons, the assembly of novel transition metal arrays with potential in catalysis, and the discovery of a parking space. Among other pleasant experiences, he was a Studienstiftler, Adolf Windaus medalist, Humboldt Senior Scientist, ACS Organometallic Awardee, Otto Bayer Prize Awardee, A. C. Cope Scholar, Japan Society for the Promotion of Science Prize Holder, and recipient of the Medal of the University Aix-Marseille and an Honorary Doctorate from The University of Rome Tor Vergata. He is the current Chief Editor of Synlett. Among his more than 350 publications, he treasures especially this textbook in organic chemistry, translated into 13 languages. Peter is married to Marie-Jos Sat, a French artist, and they have two children, Paloma (b. 1994) and Julien (b. 1997).